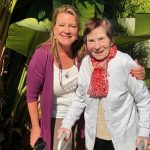 Over the past months, I’ve learned many lessons from spending time with my Mom. As you know, she is suffering from dementia and is living at a wonderful Board & Care facility close to where I live. Every time I visit her it’s a new experience. Some days are “good” days where she’s talkative and energetic, wanting to walk around the garden and “chat” about whatever is on her mind. We even may go on a few “adventures” which are really FUN! Other days are “not so good” – where she feels more tired and doesn’t want to walk around as much. These days we sit, drink tea and nibble on cookies at the dining room table. From these experiences, one of the most important lessons I’ve learned is “staying in the present”. Due to her dementia, it’s difficult for her to remember memories of her past and she doesn’t talk much about the future. It’s all about being in the NOW. No worries about the past – no worries about the future. Today – that’s all we have – right now at this moment, at this place, where we are. 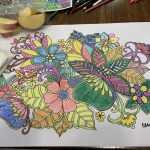 This lesson has freed me up to enjoy and embrace the present – to breathe in the air, the surroundings and connect with how my body is feeling. 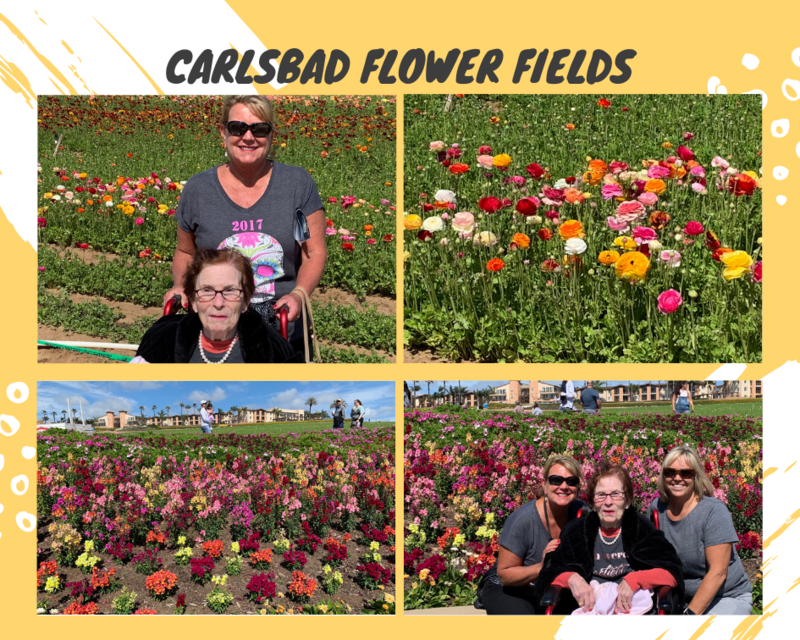 Here are a few pics of our last “adventure” to the Carlsbad Flower Fields. It was a gorgeous day! My friend, Kim, helped with pushing the wheelchair and maneuvering around the pathways. Mom absolutely loved it! Let’s all learn from this lesson and start living in the NOW! How are you going to stay more “present” in the days ahead? Please share your comments below.